Home » Online Exhibits » Penn People » Penn People A-Z » Joseph Howard Berry, Jr.
Joseph Howard Berry, Jr., was born in Philadelphia on December 31, 1894. His father had played baseball for the Philadelphia Phillies in 1902. After graduating from Philadelphia’s Northeast Manual Training High School, he attended Muhlenberg College for a year before transferring to the University of Pennsylvania in the fall of 1915. During his years as a Penn undergraduate, Berry was an outstanding athlete. He was an All-American fullback who played in the Rose Bowl; because of his talent he was elected in 1964 to the National Football Foundation Hall of Fame at Rutgers University. He was also the intercollegiate pentathlon champion in track and field, 1915-1918. 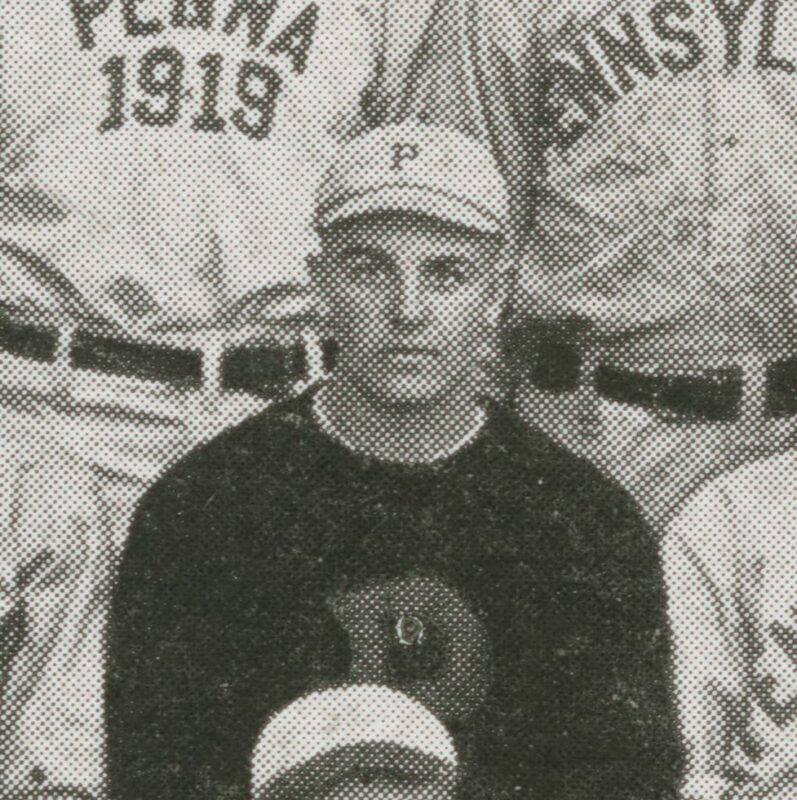 As a baseball player, Berry played for his class teams as well as for Penn’s varsity team in 1916 and 1917. In 1917 he was captain of the varsity baseball team, coached by Roy Thomas. During the following summer of 1916, he enlisted in the Army and served briefly in action on the Mexican border, returning in time for football season. Berry reentered the Army after the 1917 football season, returning to Penn at the end of World War I to earn his degree from the Wharton School. Berry made his major league baseball debut as a second baseman with the New York Giants on July 18, 1921, playing two seasons before retiring from the major leagues. A leader in Republican city politics, Berry was a personal property and real estate assessor for Philadelphia’s Board of Revision of Taxes for many years. During World War II, Berry served in the U.S. Marine Corps as a liaison officer in combat in the South Pacific, retiring with the rank of colonel. He died in Philadelphia on April 29, 1976.